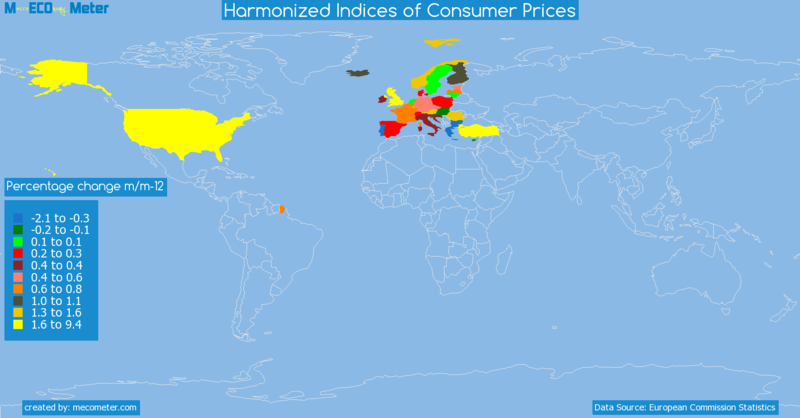 Value & RankThe Harmonized Indices of Consumer Prices of Netherlands is 0.10 (Percentage change m/m-12) with a global rank of 26. 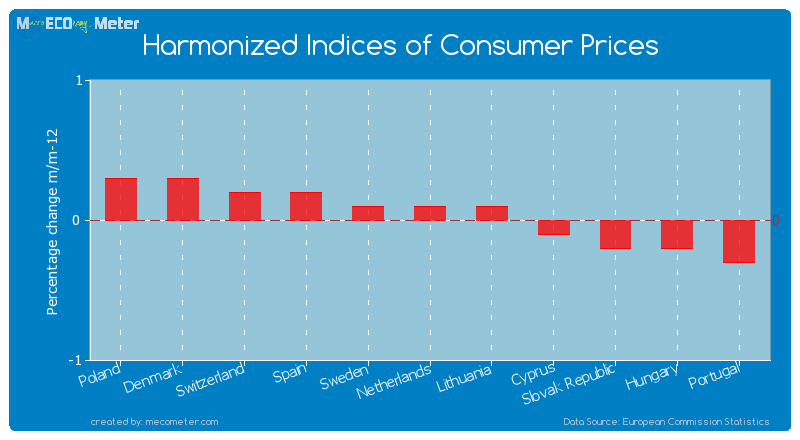 Netherlands compared to other CountriesThe Harmonized Indices of Consumer Prices of Netherlands is similar to that of Poland, Denmark, Switzerland, Spain, Sweden, Lithuania, Cyprus, Slovak Republic, Hungary, Portugal with a respective Harmonized Indices of Consumer Prices of 0.30, 0.30, 0.20, 0.20, 0.10, 0.10, -0.10, -0.20, -0.20, -0.30 (Percentage change m/m-12) and a global rank of 21, 22, 23, 24, 25, 27, 28, 29, 30, 31.1 years declineNetherlands's Harmonized Indices of Consumer Prices had a negative growth (decline) of 96.8 (%) in the last 1 years from (2013-07 to 2014-05). 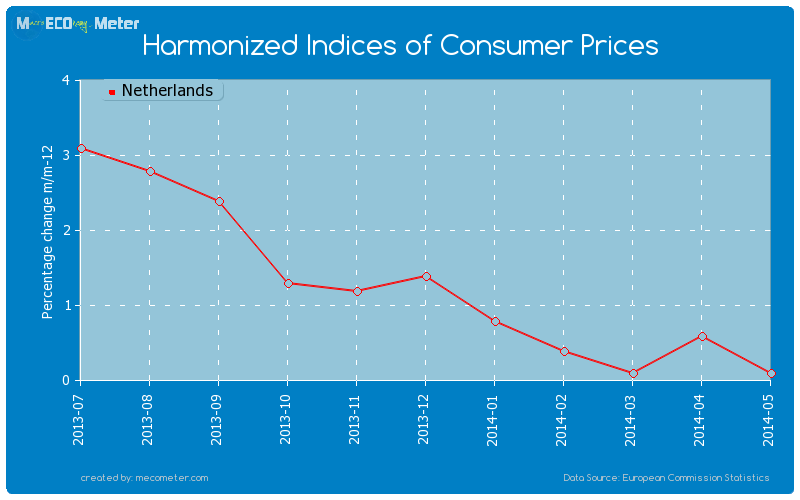 Last 1 years averageNetherlands had an average Harmonized Indices of Consumer Prices of 1.29 (Percentage change m/m-12) in the last 1 years from (2013-07 to 2014-05).